Are you Instagram lover OR influencer then you need this Instagram Repost App to create engagement with your followers. With this app you can easily interact with you followers. Instagram is one of the largest social media platforms for pictures and a short video. This platform is acquired by Facebook now have billions of active users, posting millions of video and pictures every day. In the recent year, the need of reposting has risen exponentially. 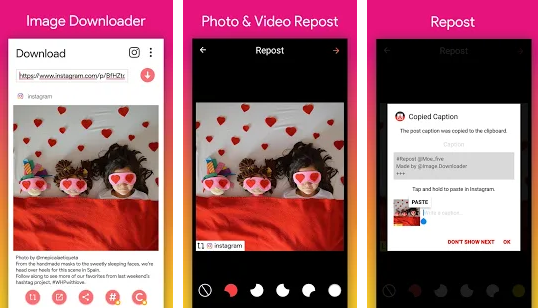 In this article, we are going to discuss the Best Instagram Repost App for 2019. Recommended: How to Use iMessage on Android? What is Instagram Repost App? 1 What is Instagram Repost App? Instagram is one of the best apps but still its lack of many features, one of them is sharing. Facebook have a share button, Twitter has retweet button but Instagram doesn’t have a feature such as reposting someone else image to your account. for that, you need a third party app which allows you to share someone else’s image on your feed. There are many apps out there to do this task, but which one of them is the best to repost app for Instagram? 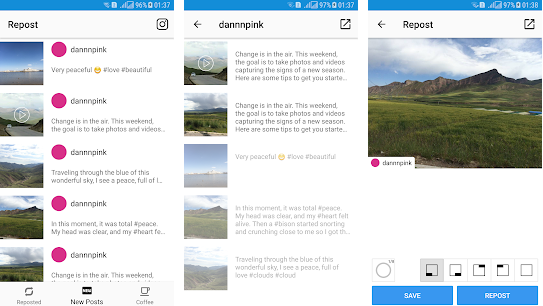 We have gathered a list of Instagram repost app which allows you to share images. Here is the list. One of the best repost app for Instagram and it’s easy too. 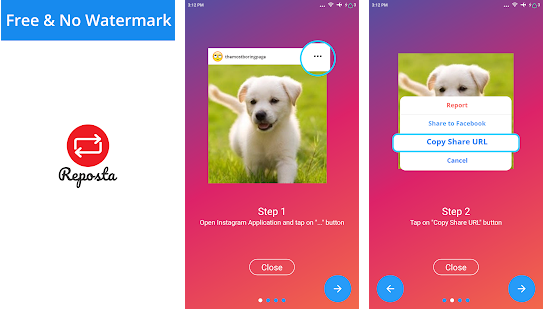 this app will allow you to repost on your Instagram account with just a few steps. First, you need to go to the image you need to repost, click on the share icon and then copy the link or you can click on the three-dot on the left upper sides of the image. After copying the link open this app and copy the link in it. now you can repost a picture on Instagram with little text which shows the original owners username. You can even change the credit to that picture and add your own watermark as well. This app also most favorite repost app. its simple and doesn’t need much to do. You can install it and after that, it will run in the background. When you copy the link to the Instagram post you can visit it and paste there to repost. It will give credit to the original picture owner. It’s free too. 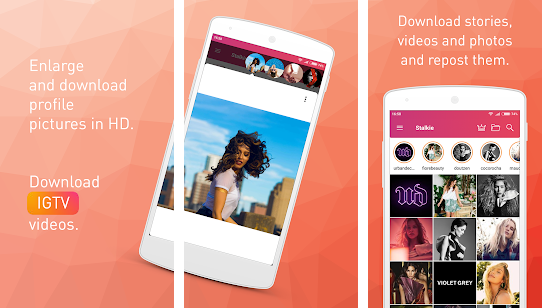 This app does more than just repost, it also downloads the images and video directly to your phone. You need to copy the link and paste it into this app and it will download the image. You can keep multiple pictures and video in your gallery. You can even copy the tag or the whole context with this app. its a free Instagram repost app but for instant download, you can upgrade it to the pro. 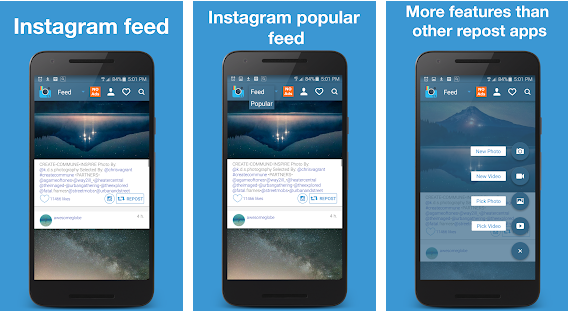 As the name suggests, its also repost pictures and video to your Instagram feed. 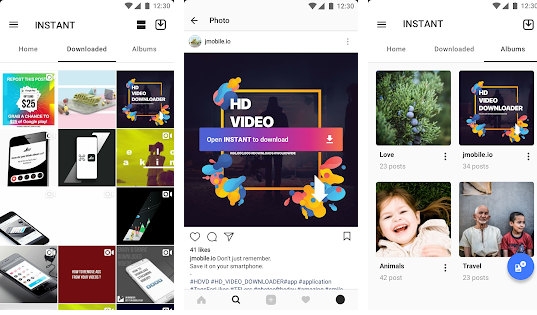 It has a simple yet effective user interface which allows the user to paste the link which they have copied from the original picture and then repost it to their own Instagram account. also, the Instagram user who has set their post to private, you cannot copy their link, otherwise its work effectively. 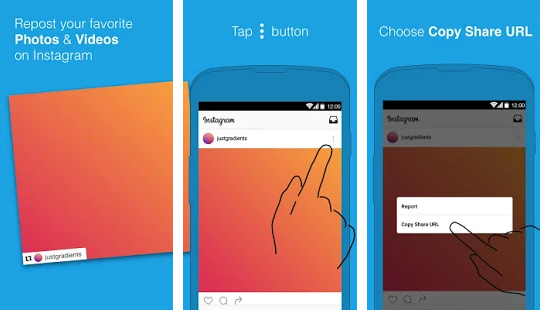 One of the best Instagram repost app with lots of features. Its actually allow the user to find pictures to repost on the same app. you need to login into this app with your Instagram details and then you can browse Instagram from there. After that, just one click and you can repost it. no need to copy the link as this app do all the work. You can repost it without watermark and even downloads and save it on your phone. It will repost the Instagram picture with the same resolution and quality the original pictures have. You can simply use it as an alternative to Instagram with repost feature. This Instagram repost app do the same thing as other but it has something new as well. Now you can download IGTV videos with this app. IGTV or Instagram TV is the new feature launch by the company to compete with YouTube. Now you can downloads them and even repost them with this app. it’s a free app and doesn’t even required your login detail to repost. Elegant design, simple workflow, and seamless UI, this app is the answer to your every worry about the Instagram repost. It’s easy and it does what it says, repost to your install feed in a matter of second. This app is about 7mb, so it doesn’t require much space. 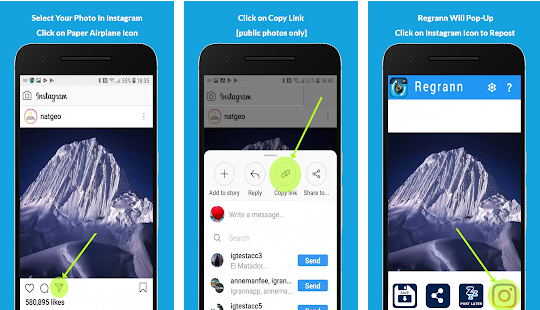 You can save and repost images and videos and you don’t need to log in for this app. there is no watermark as well. This app has a catchy name which could be translated to stalker as well but it does what every other Instagram app does with one new feature. You can save the images with zooming it. Instagram has a feature in which you can zoom the picture but it doesn’t stay zoom. With this app, you can zoom and save the picture and repost it on Instagram. There are hundreds of another app which allow you to do the same, repost the Instagram image. But you need to be careful and downloads only that app which has a higher rating. Also, give the credit to the person from which you have to repost the image. 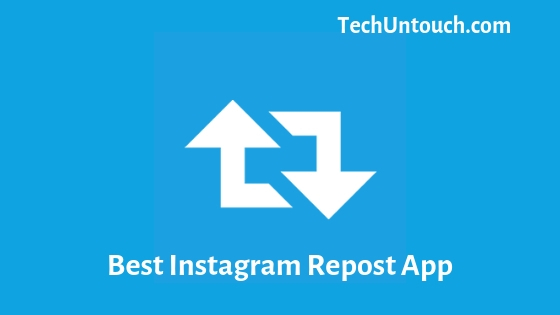 We hope that Instagram soon launches the feature of repost in their app, till then use this best Instagram repost app. If you have any question, let us know in the comment. Very nicely written and explained properly. These days Instagram is working more then any other platform. People are selling things and generating business and the tools that you have mentioned will definitely help them. Great Going. Keep it up.